Jessica announces brand new single ‘This Ain’t Love’ & ‘Be Beautiful’ perfume! 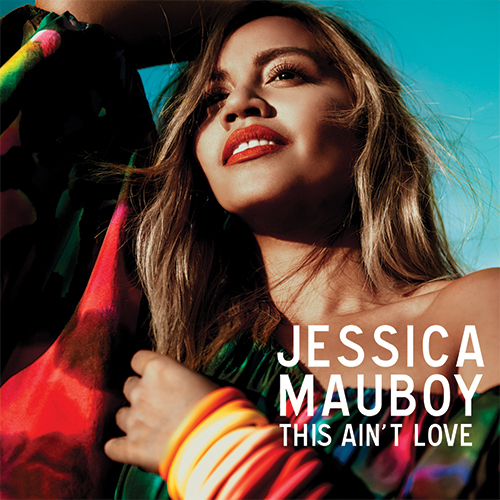 Jessica Mauboy has just announced her brand new single This Ain’t Love, which is out on Friday, 11th September! Listen to the track and download it here. This Ain’t Love which Jessica co wrote with Sneddon (Nicole Sherzinger, Newton Faulkner, Olly Murs, Lana Del Rey, Pixie Lott) & Carl Ryden (David Guetta, Jason DeRulo, Kylie Minogue, Benni Benassi, The Wanted) who also produced and mixed the track, is a power packed song that features Jess’ incredible vocal with a driving beat and fresh sound that is designed to turn up and play loud! This Ain’t Love which is the first single from her forthcoming new studio album, comes off the back of the hugely successful platinum selling album Beautiful, which spawned 6 hit singles and saw Jessica receive an ARIA for Best Female at the 2013 ARIA Awards. In addition to the new single, Jessica has also announced the release of her debut fragrance, Be Beautiful, which is set to hit stores nationwide on Friday, October 30 2015. The fragrance, which has been developed by Jessica in partnership with BrandPoint, embodies Jessica’s down to earth yet glamorous character. The brand references her hometown of Darwin with striking colours, reminiscent of the seaside tropical paradise. The aquatic fresh floral is equally at home on a sun-drenched day, or on a glamorous, sophisticated evening on the town! From Jess: “I’m extremely passionate about my first ever fragrance, Be Beautiful. I am so proud to present an amazing scent that is not only reflective of who I am, but also accessible for all my fans.” Jessica also continues her work in supporting Indigenous Education and has been named an Ambassador for the Indigenous Literacy Foundation whose core aim is to raise support and awareness of literacy in indigenous communities. With combined sales of over 2.28 million sales and 16 x Top 30 hit singles to date, Jessica features firmly amongst some of the most successful Australian female artists of all time. Jessica Mauboy – Facebook Livestream on Thursday September 10! Don’t miss out on Jessica Mauboy’s Facebook Livestream this Thursday at 8pm AEST, where Jess will be sharing a massive announcement, and also answer your questions! Head here and ‘Like’ Jess’ Facebook page to make sure you don’t miss out on the action.